I have been testing the Affinity Publisher Beta since its launch and find it to be performing well in most departments, but for a few glitches here and there which is being actively resolved by the developers in the subsequent builds. Kudos to them for the good work! One feature I would really like to see added in APUB to its already impressive list is "print preview". The ability to view the file to be printed, make imposition layouts, multiple ups, booklet layouts, add bleed, trim & registration marks will be a great help to the printing fraternity. With this one addition Affinity Publisher can break the monopoly of Corel Draw among the print industry in India. That said I have nothing against Corel Draw, it is a good, steady and mature software with lots of features and amazing ease of use. Its main drawback is its forbidding cost! I feel another able competitor in the market will bring about the right balance. Really appreciate if the APUB team can consider this feature for the future builds. Please, please, PLEASE make a print preview I can see without leaving nose prints on my screen. 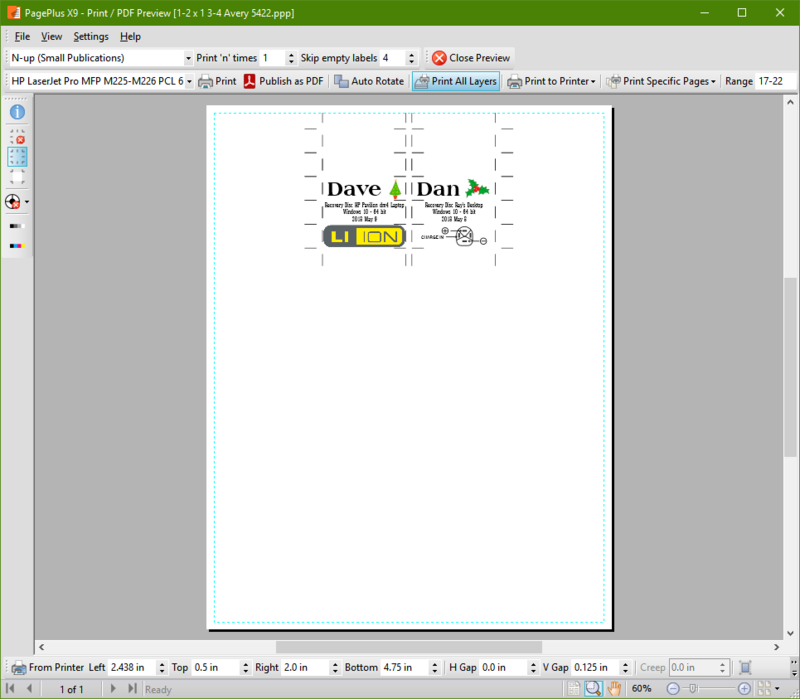 I print labels for everything, and the print preview in Publisher shows an ANSI Letter page on the screen the size of a postage stamp. I cant see what will print. Please make this more useful. If you are referring to the preview in the Print dialog, that is provided by the operating system and its capabilities governed by that. The Affinity applications cannot and should not try to change that. On the Mac you can preview the settings by selecting Open PDF in Preview from the PDF popup menu button in the lower-left corner of the Print dialog. On Windows it's Affinity providing that preview within the Print dialog, as that entire dialog is generated by Affinity. It might work differently on Mac. All the printers that I have used on WIndows can provide a Preview function of their own, controlled by the printer driver. These previews are much better than the one provided by Affinity. If you're on Windows and your printer offers that capability you might use it until Affinity can improve. You would reach it, if available, by clicking on the Properties... button in the Affinity dialog. Walt. I'm on Windows 10, printing to an HP Laser Jet Pro MFP M225 PCL 6. I previously used an HP Laser Jet 5. I cannot find any print preview Function in the printer properties. The predecessor to Affinity Publisher was Serif PagePlus, I had PagePlus X9 which might have been the last iteration of that product, and it contained a full screen print preview that was as good as a proof print. Until Affinity publisher has something like that, I can't see using it. !!! I checked my Canon color inkjet, and that DOES offer a nice preview. (This is news to me!) But my HP LaserJet does not.